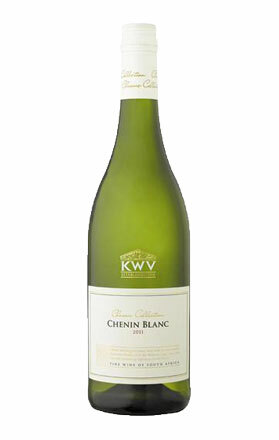 Overview: Chenin Blanc, sounds like the stage name of a transvestite, right? It’s a variety that is high in acid and ripens with higher sugar levels. It’s a diverse variety and can blended with other white varieties, made into a sparkling wine and even desert wines. The variety is most famous for the French Wine Vouvray from the Loire Valley. Vouvray is typically off-dry with honey characters and ages very well. Chenin Blanc was introduced to South Africa in the 16th century where also known as Steen, no wonder, Chenin Blanc would be a nightmare to say with a South African accent. Much like Argentina and Chile, South Africa can produce wine very economically which means it hits our shores at ridiculously cheap prices. You can pick up the wines of the KWV Classic Collection Range (formally known as Lifestyle range) for around $11 a bottle. The touch of sweetness in this wine will help match it with Asian dishes with a bit of spice. The sugar helps tone down the ‘heat’ from food laced with chili; this is good if you’re a wimp like me who feels like they’re on the verge of spontaneous combustion when they simply look at a chili. Tasting note: The nose brings aromas of Granny Smith apples, lanolin, custard apple and lime. On the palate there are nuances of the green apple found on the nose, pear peel, rich yet balanced by delicate talc and jasmine characters and fine acid. There is a touch of Ester still present from the fermentation process (a character of banana) but this will dissipate over time. Final Say: It’s cheap, it’s classy and it’s different. Buy it.